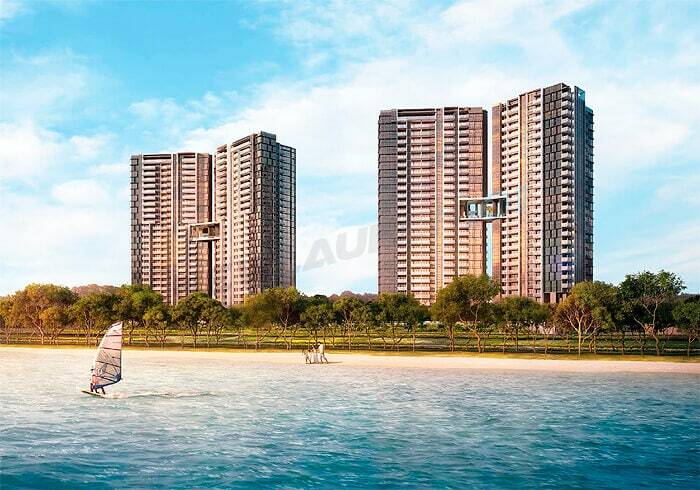 Market watchers are eagerly anticipating the scheduled launch for Seaside Residences at Siglap Link on the 22 April and expect an intense pent-up demand due to its location and its bite-sized prices for the smaller unit types. Developed by Fraser Centrepoint, the Seaside Residences will comprise of 843 units in total and will set to be the first new launch project to be built along the Eastern shorelines of Singapore in 15 years (since 2002), providing residents with unblocked views of the sea when it completes its construction by 2021. According to reports, the 1-bedroom units (420 to 506 sq ft) will be priced from $690,000 to $1.05 million and 4-bedroom units will be in the region of between $2.29 million to $3.08 million. Estimates have shown that this 99-year leasehold new launch project will be priced at an average per square foot (psf) between $1,600 to $1,650. On the heels of some strong project sales at launches earlier this year – namely The Clement Canopy, Grandeur Park Residences and Park Place Residences, and also with the released flash estimates indicating prices may be heading for more stability for the non-land private residential segment, it will likely to have a strong positive effect on prospective buyers. Property consultants have noted that there were only a couple of new condo projects being launched in East Coast for the past 3 years, thus Seaside Residences could leverage on the pent-up demand from middle-class buyers in the Siglap location. The more prominent ones would be the likes of Silversea and Meyerise. Other than Seaside Residences being close to the East Coast Park and offering about 70% of the total units a sea view, it is also just a short drive to the Central Business District (CBD) and a 3-minute walk to the future Siglap MRT Station. With these attributes, the rental prospects do seem promising. Just last month, property developer CapitaLand have also officially launched its new freehold condo project Marine Blue at Marine Parade at an average psf price of $1,700, after moving only 38 units since its soft launch back in 2015. The 124-unit condo project received its T.O.P in October 2016 and is located within close proximity to the future Marine Parade MRT station.